Ha! 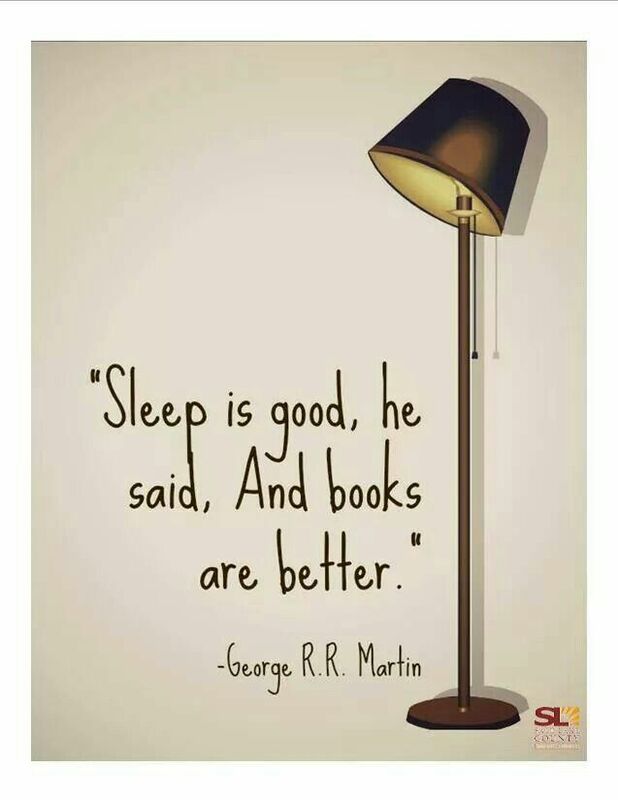 Sometimes reading wins over sleep, but sleep gets overpowering at times. It is a tough battle. Haha! So true: it's a never ending battle at my house.